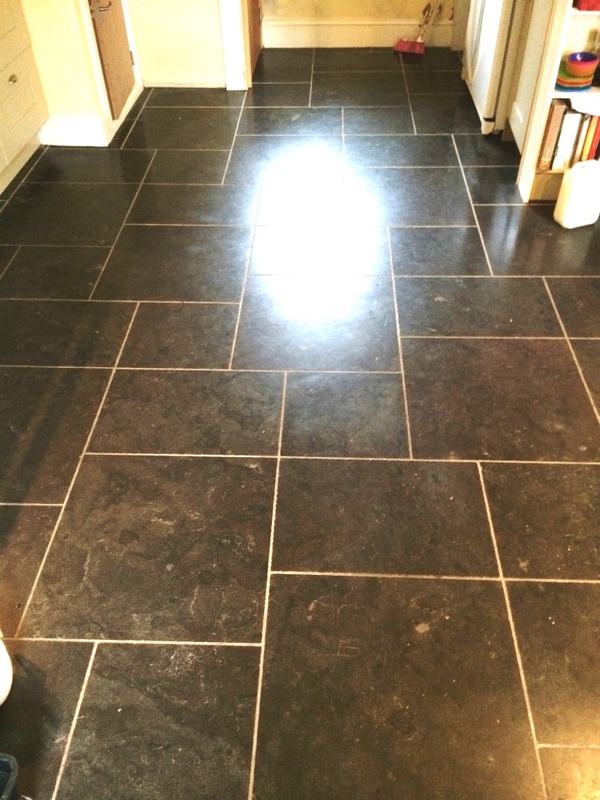 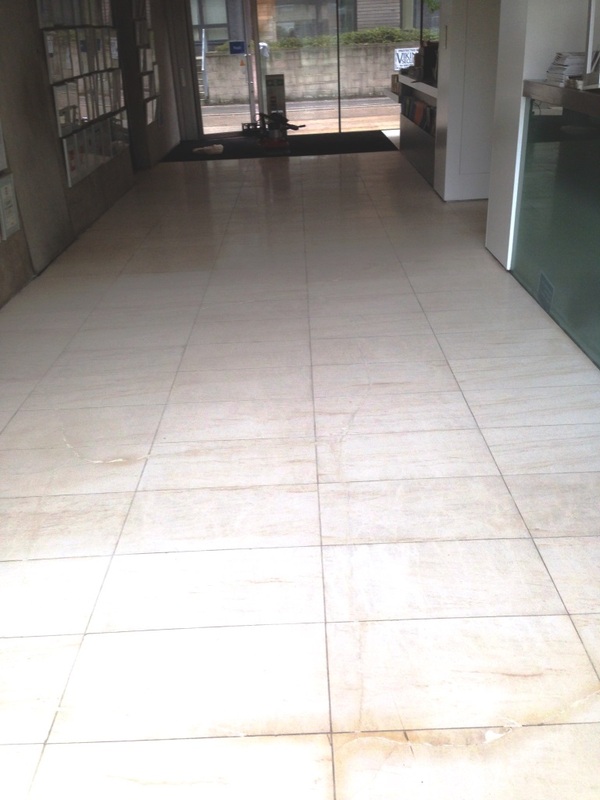 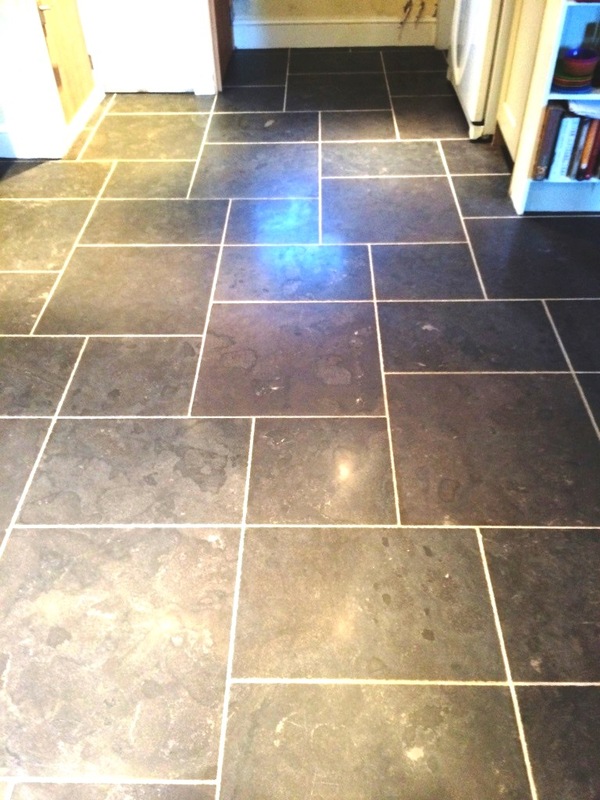 A customer in Fovant, Salisbury got in touch to clean and seal her Black Limestone tiled floor as she wasn’t happy with appearance. 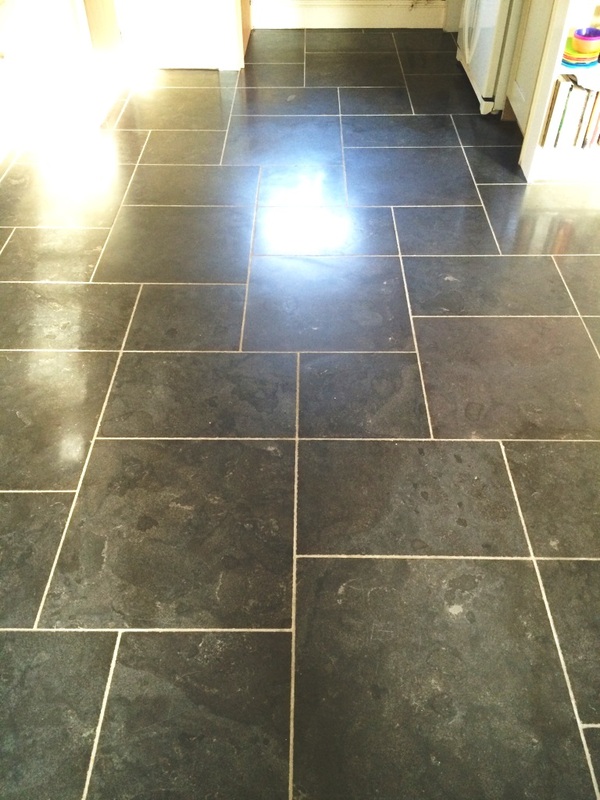 She informed me that when they were laid they were a grey colour which she loved but when the tiler sealed them they became jet black in appearance. 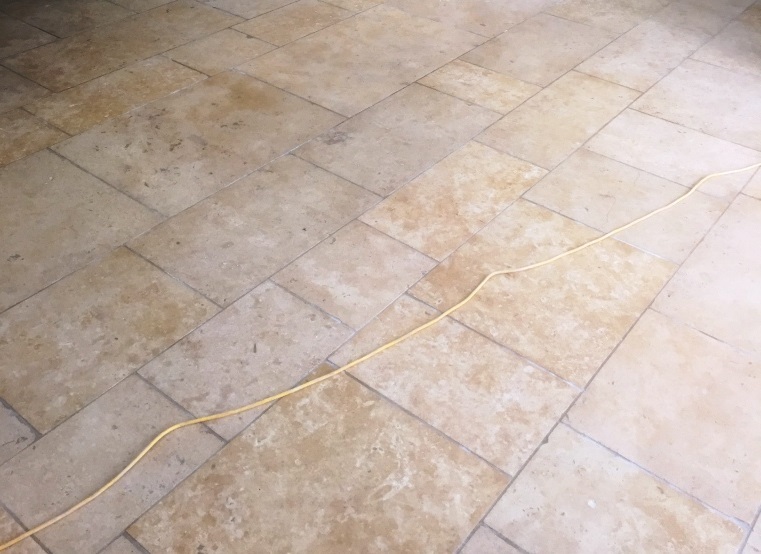 The sealer obviously didn’t meet her expectations so I conducted a test to see whether I could remedy the situation and she quickly booked me in. 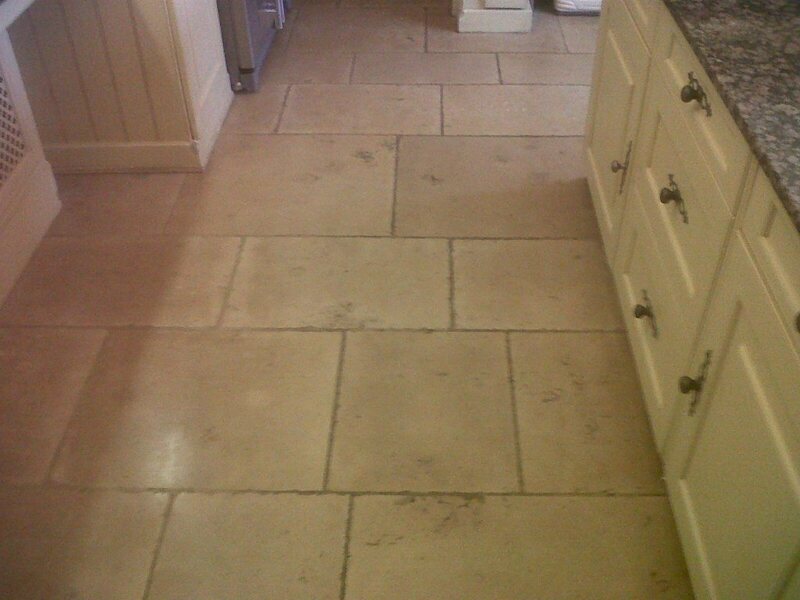 First I used a mild solution of Tile Doctor Pro-Clean which was brushed over the floor and left to dwell for ten minutes. 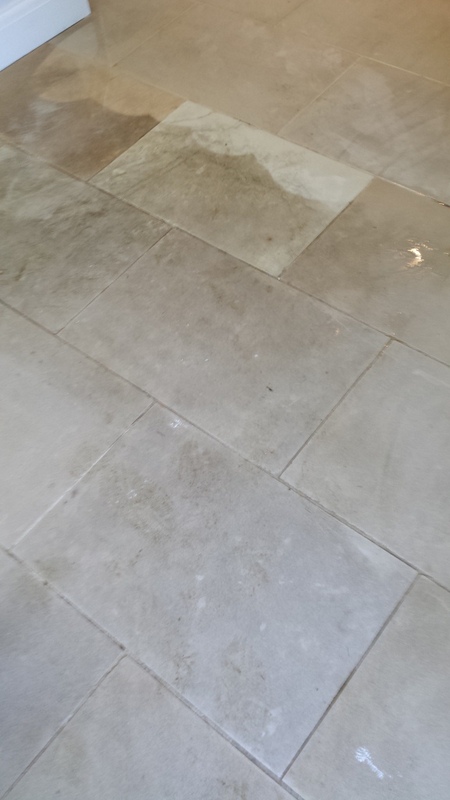 Next using a grout brush I scrubbed out all the dirt from the grout lines and removed the now dirty cleaning solution using a wet vacuum rinsing thoroughly afterwards with clean water. 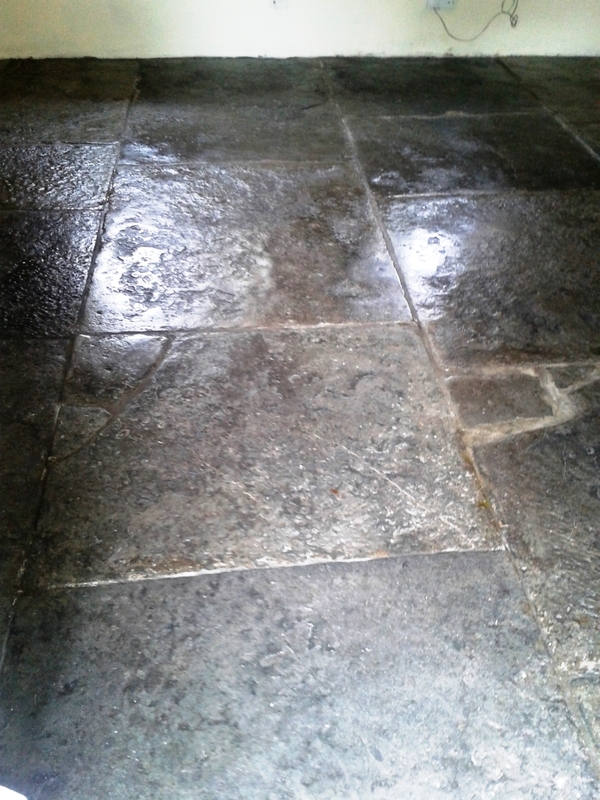 The floor was now ready to be burnished using a series of diamond encrusted pads which would remove the sealer and bring up the polish on the stone. 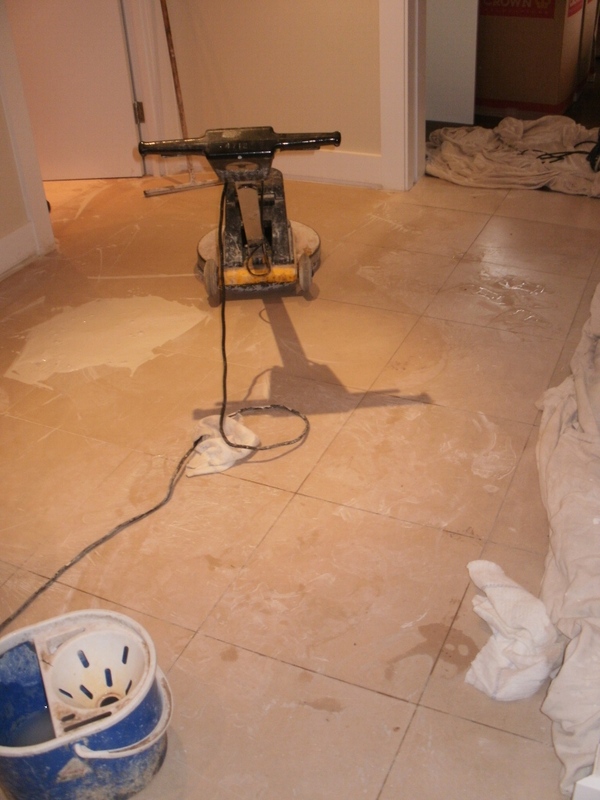 Starting with the coarse pad attached to a rotary machine and some water I began to cover the area turning the water into white slurry. 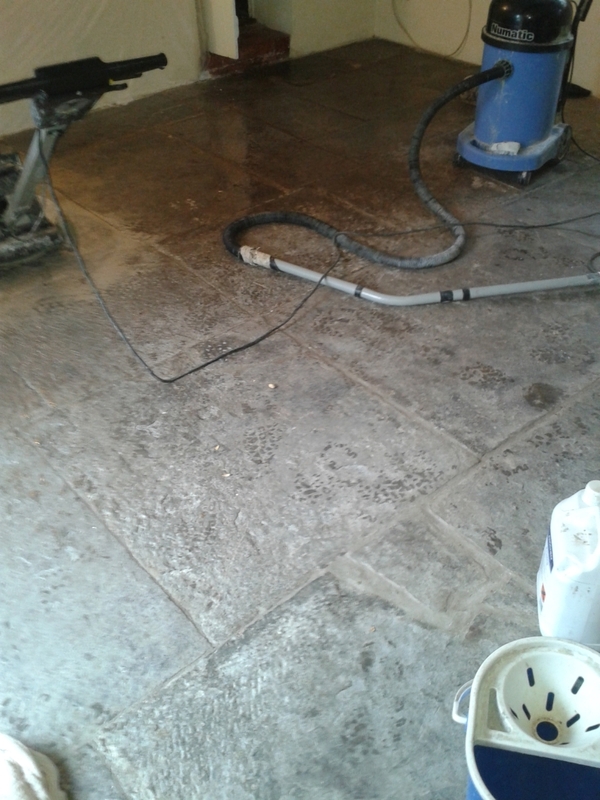 Once I had passed each tile four times I would then remove the slurry with a wet vacuum and rinse thoroughly with clean water. 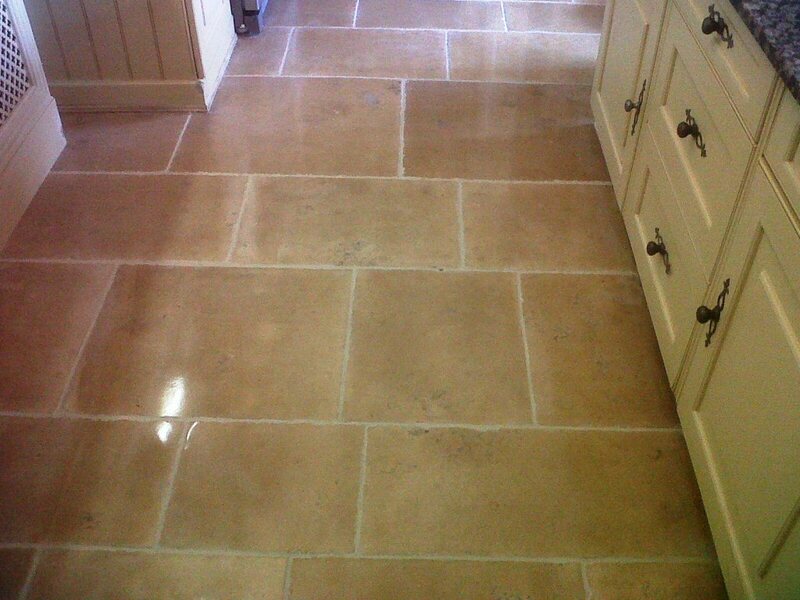 The process was then repeated with the medium and then fine burnishing pads. 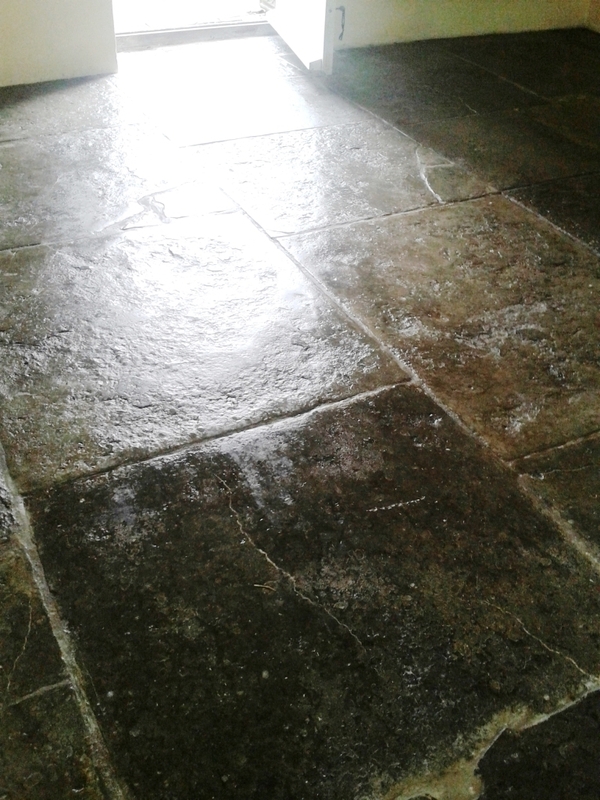 Once the floor had been rinsed sufficiently I left to dry for an hour or so before using the last very fine diamond pad to buff the tile to a shine and then left the floor to dry overnight. 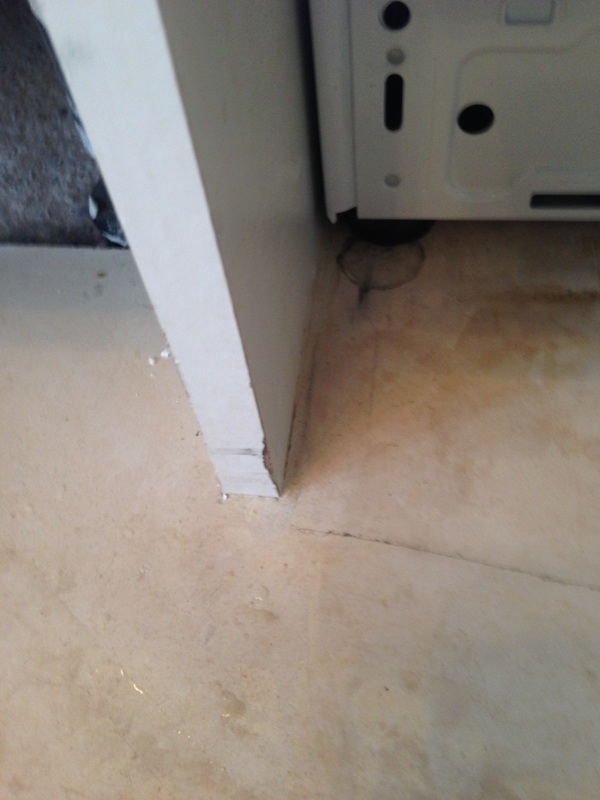 I returned the next day and started by conducting a damp test in multiple areas to check the stone was ready for sealing. 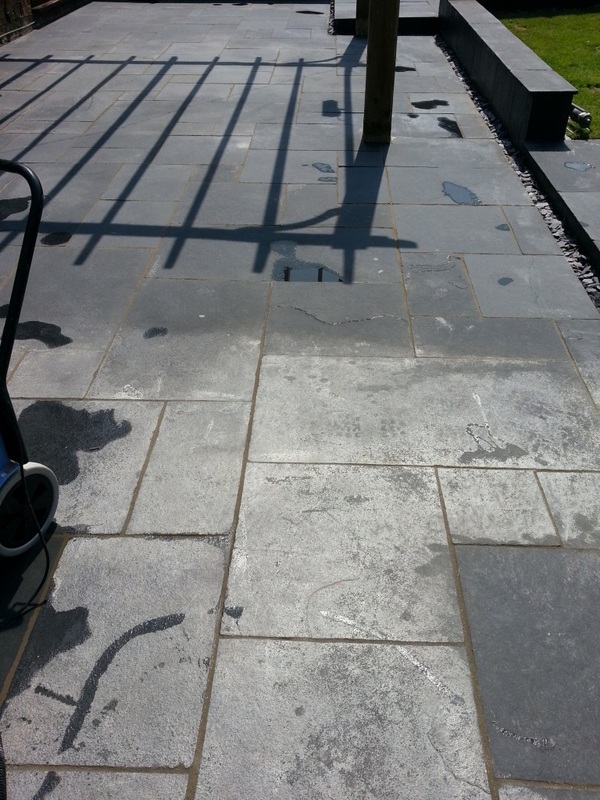 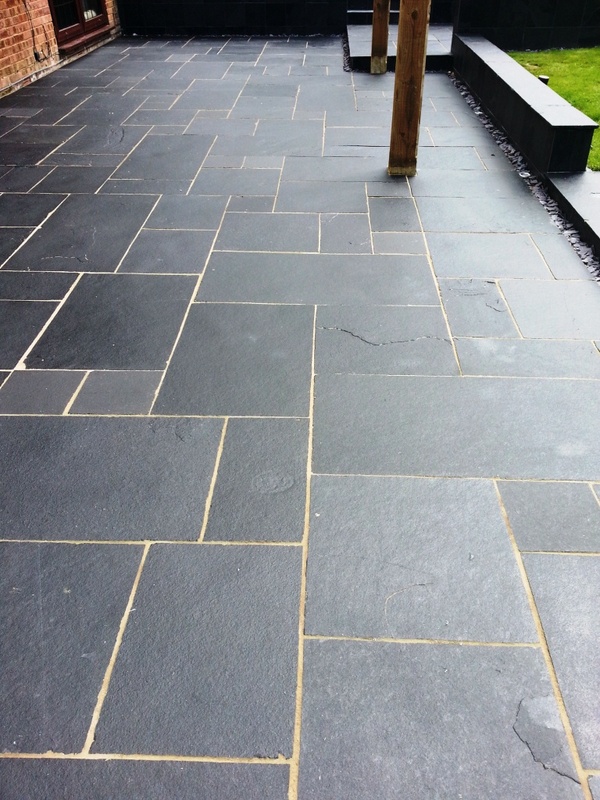 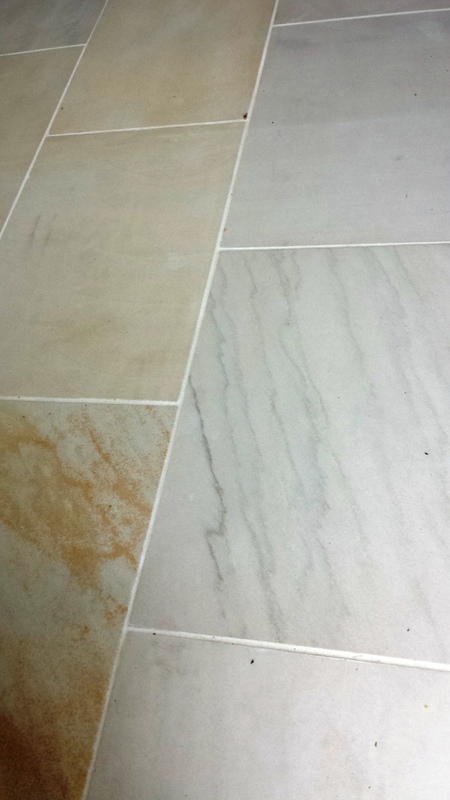 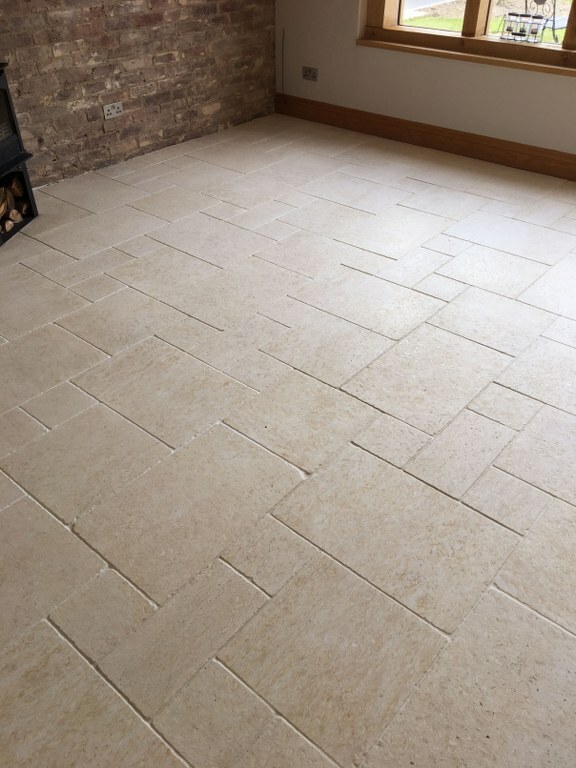 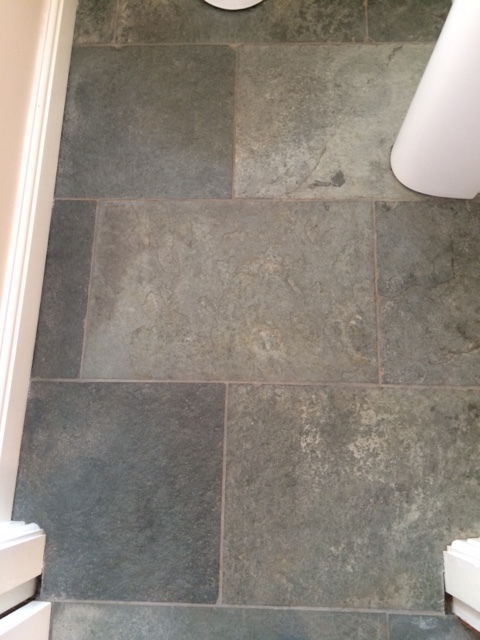 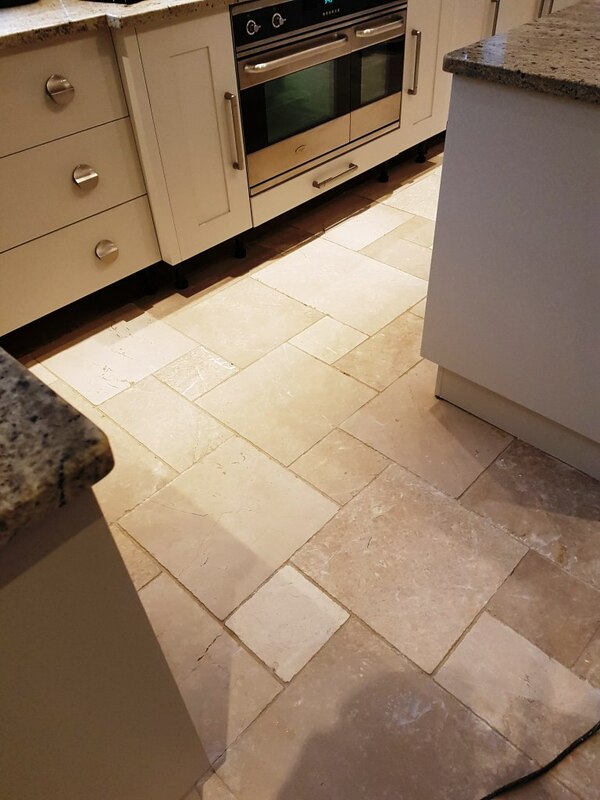 The test results were fine so I continued by applying two coats of Tile Doctor Colour Grow which is an impregnating sealer which will protect from stains and it also brings out the natural colours in the stone. 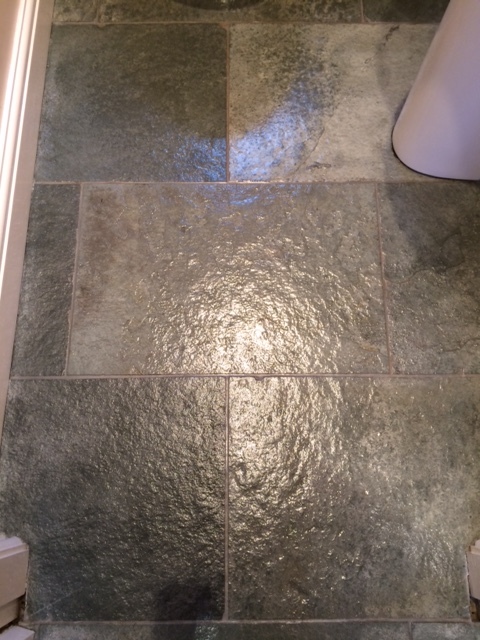 My customer obviously wanted me to keep the tile looking grey so I didn’t use any Stone Oil to darken the tile in this instance. 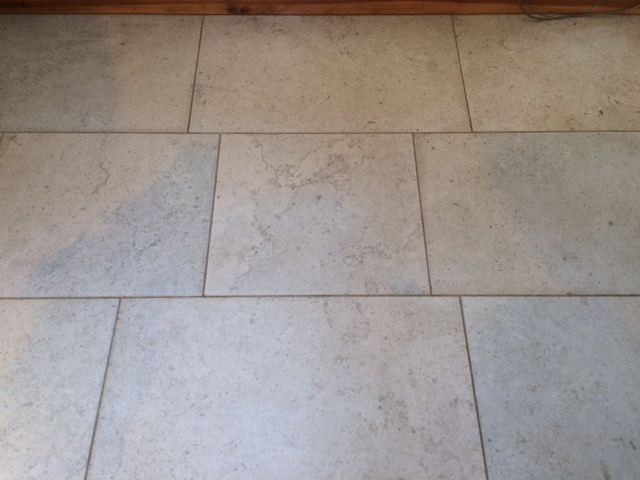 It’s probably difficult to appreciate from the photographs but my customer was very happy indeed and the tiles now have the desired look. 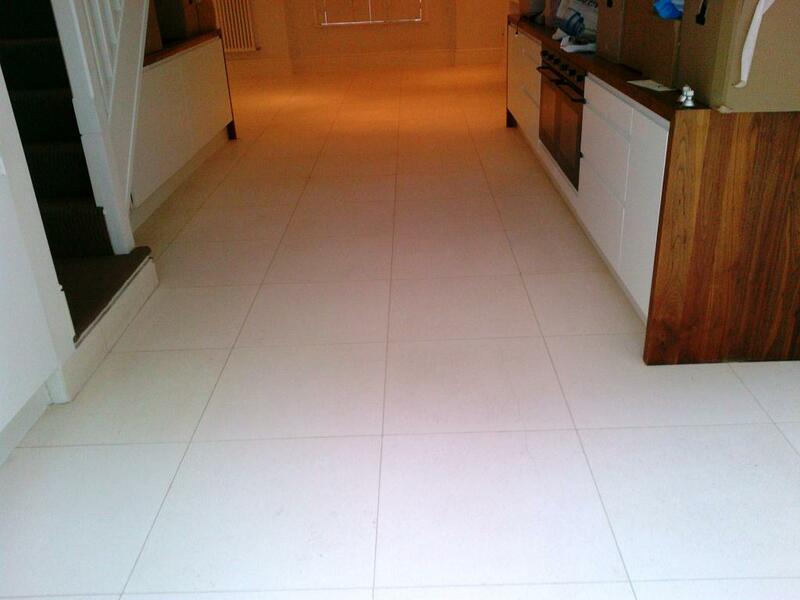 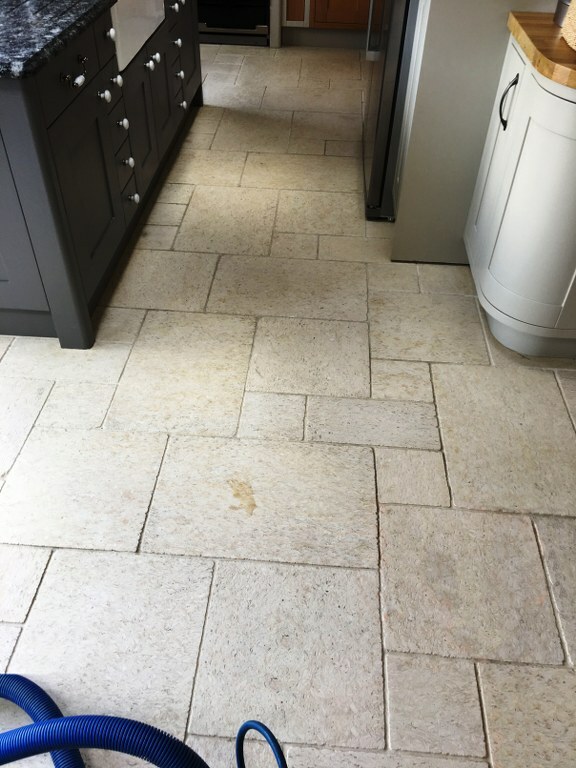 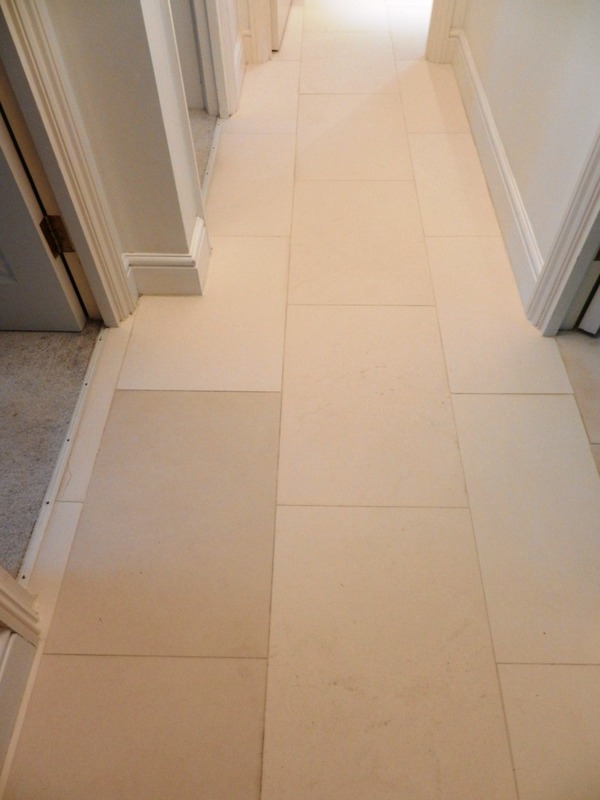 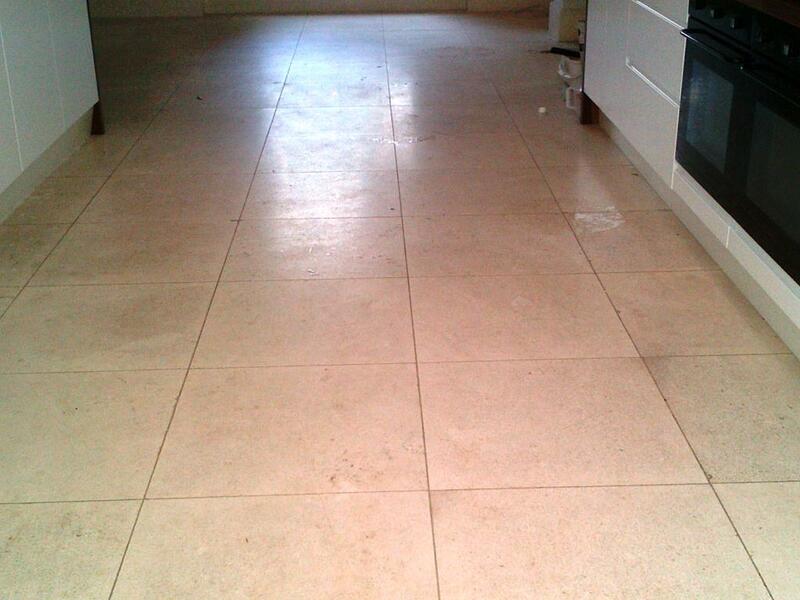 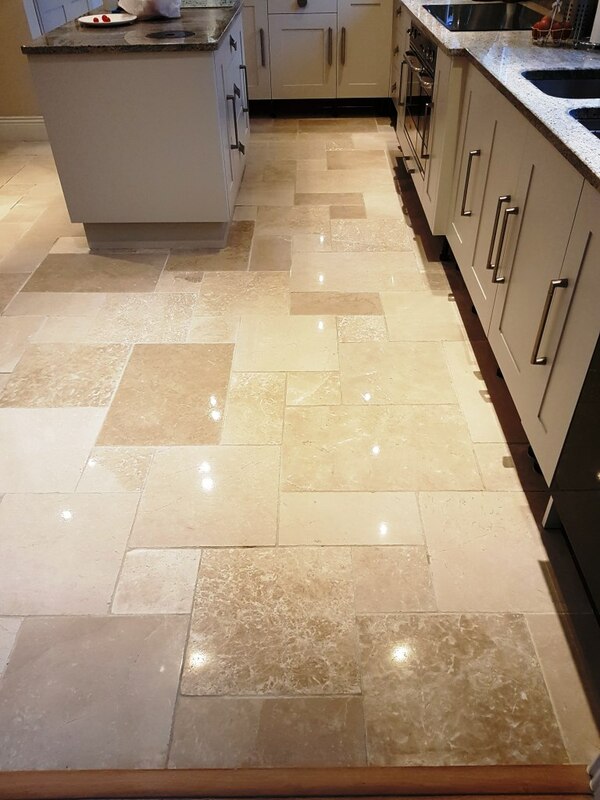 The photographs on the page come from the kitchen and dining area of a house in High Wycombe which had previously been rented out to tenants and the client wanted required the Limestone Tiled floor tiles to be cleaned and polished before the next occupant moved in. 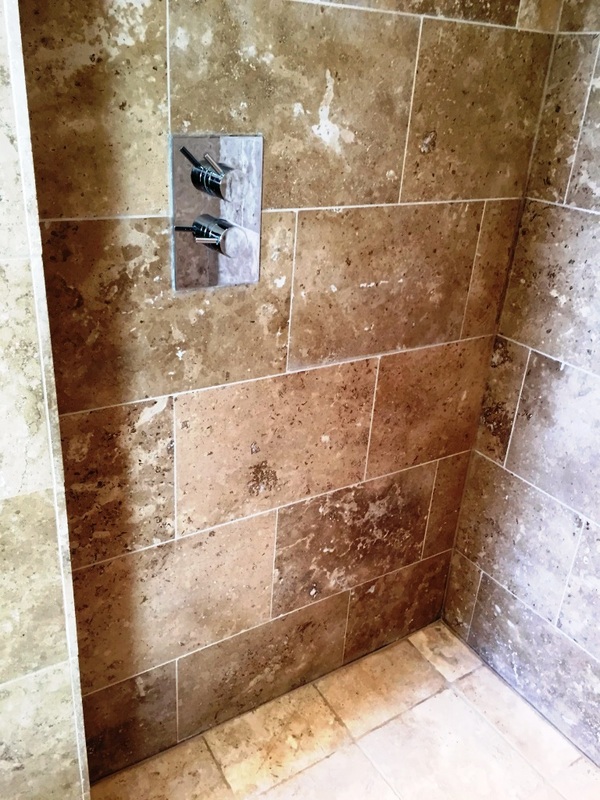 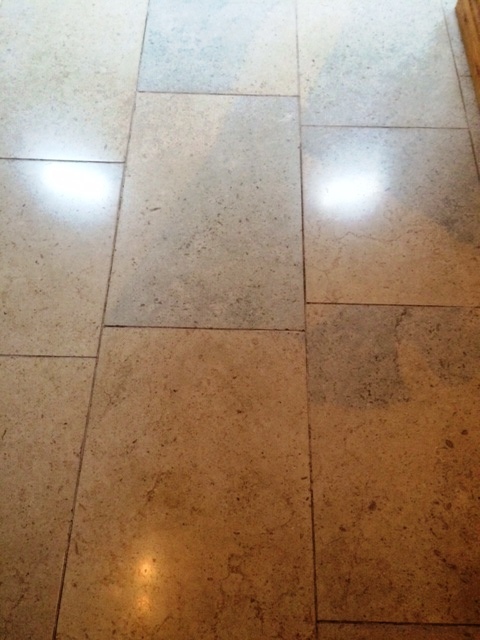 We started the project with a deep clean of the tiles and grout using a dilution of Tile Doctor Pro-Clean which is a heavy duty alkaline cleaning product specially designed for use on natural stone floors. 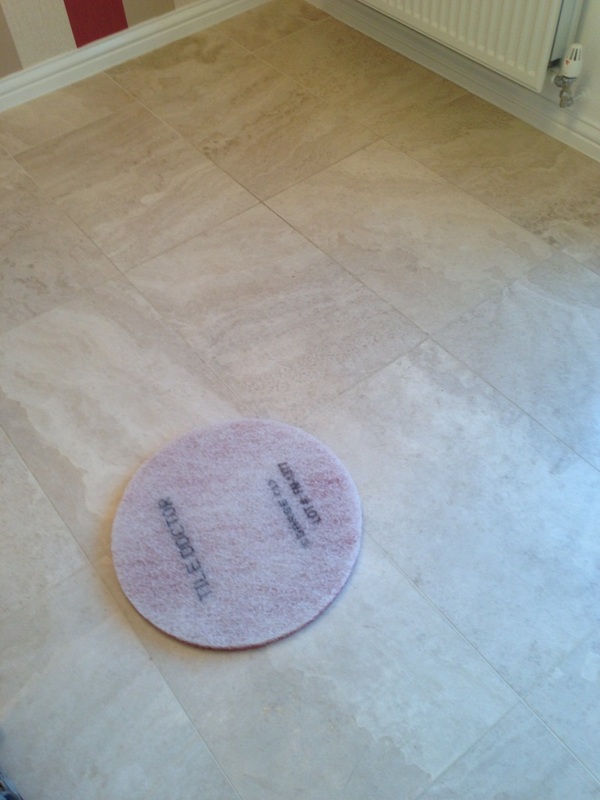 This was left to dwell for a while and then agitated using a rotary machine fitted with a Black Scrubbing pad. 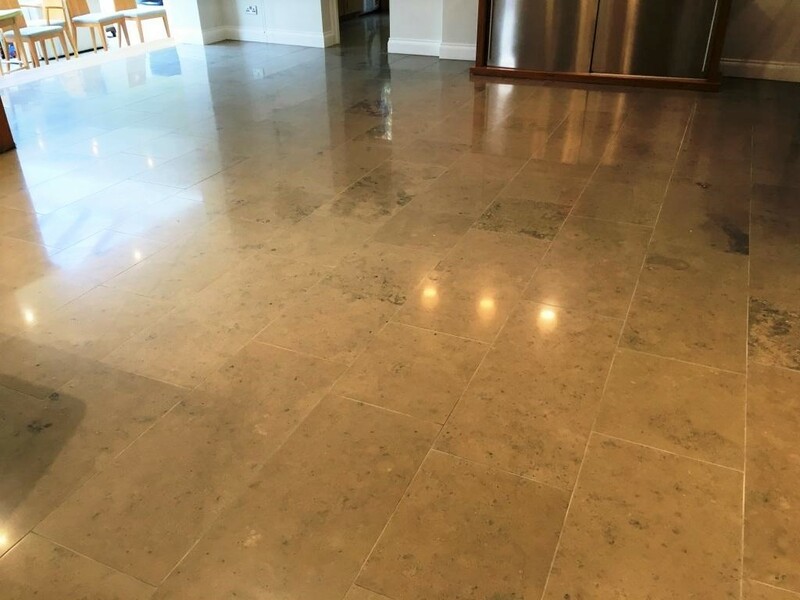 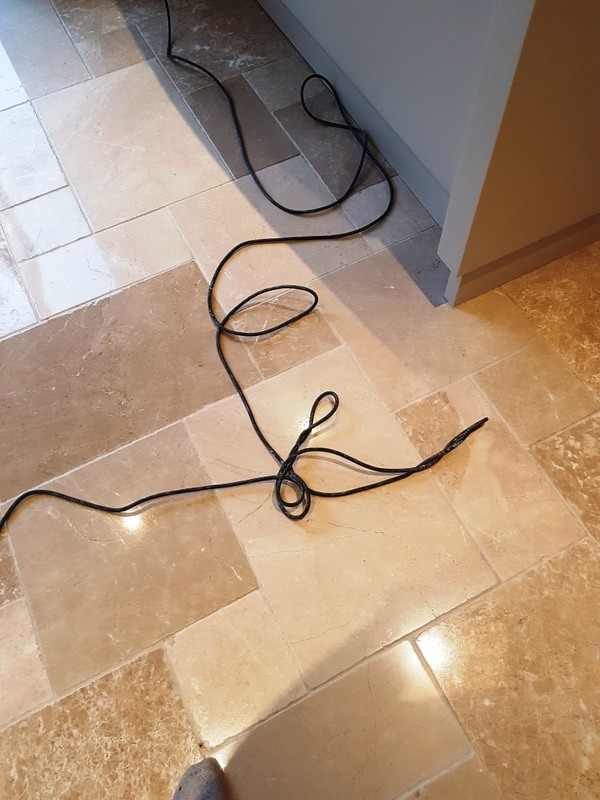 The soiled solution was then removed using a wet vacuum and the floor was then rinsed down with fresh clean water; the process was repeated until a satisfactory result was obtained and we also treated the discoloured grout lines with more Pro-Clean and a stiff brush. 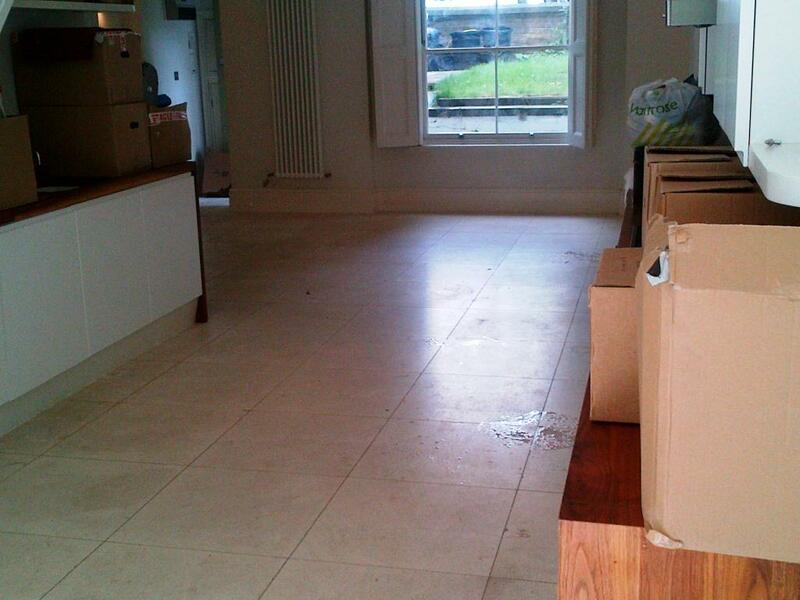 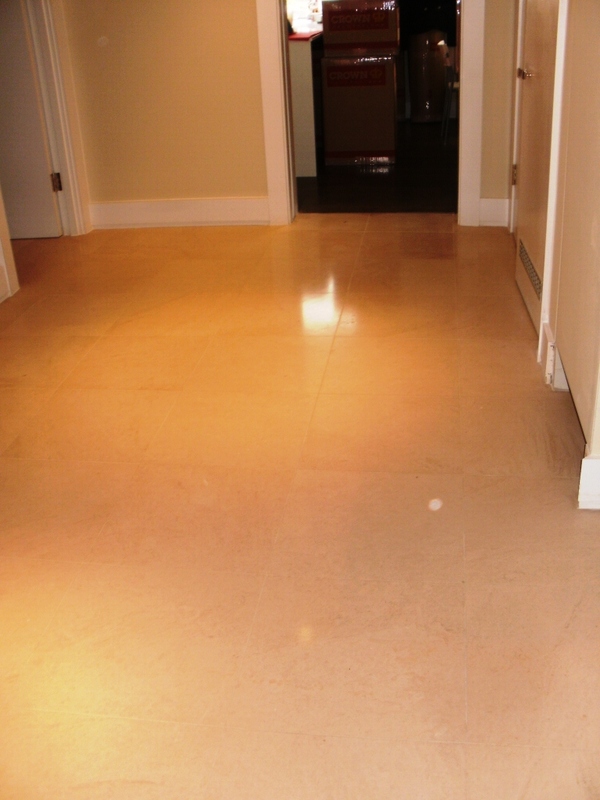 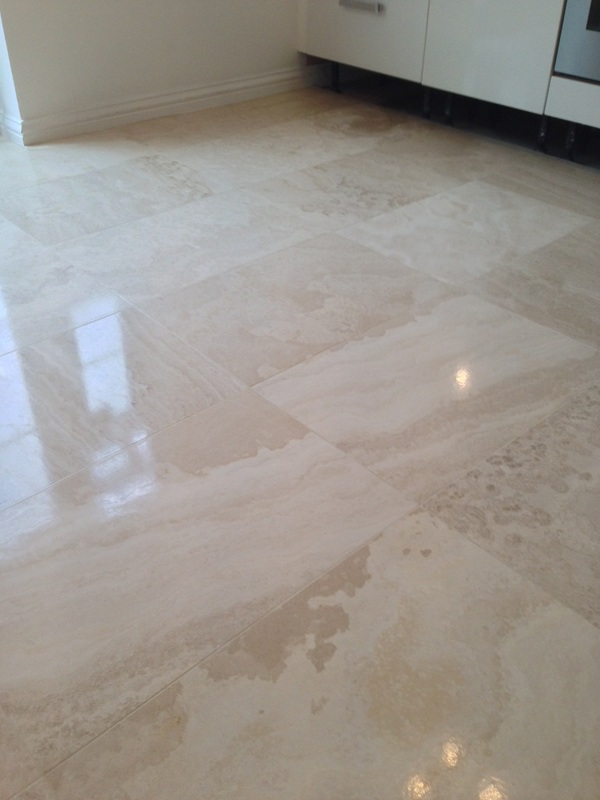 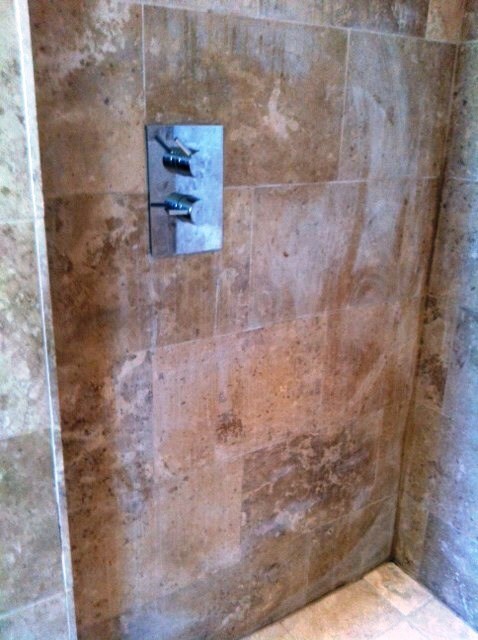 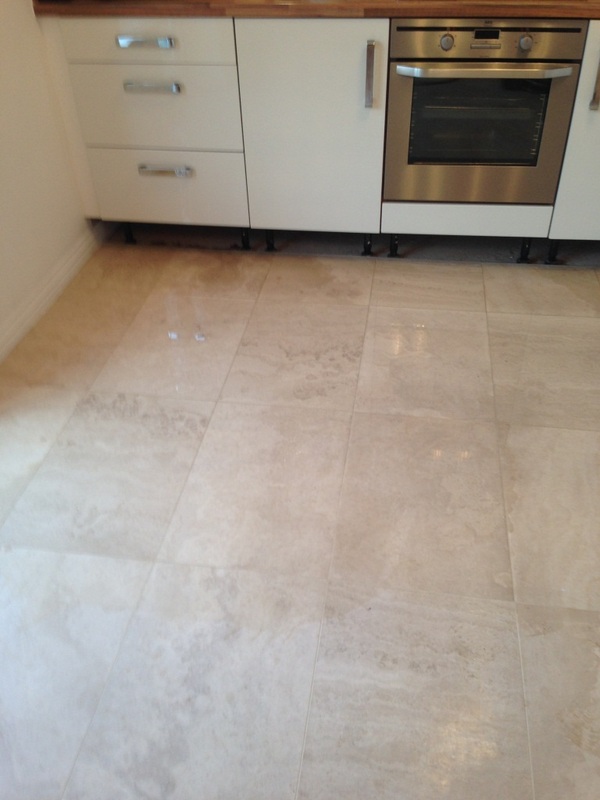 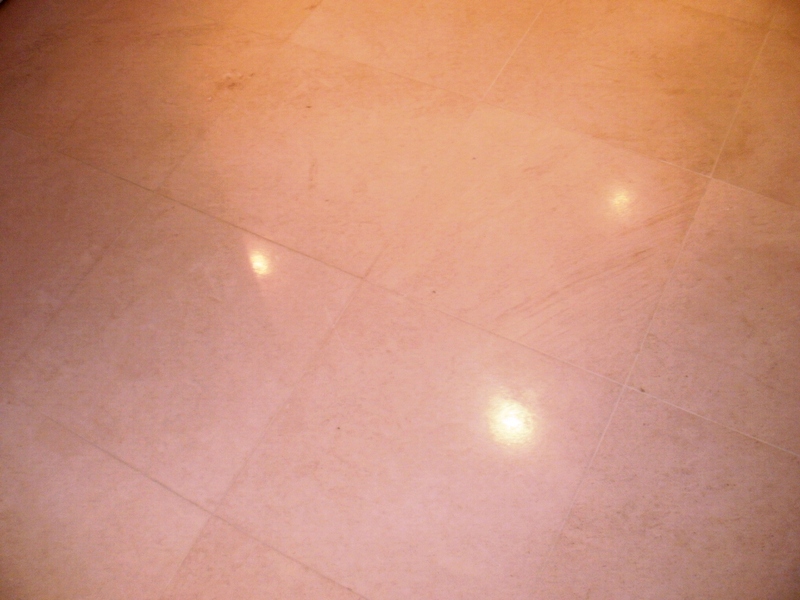 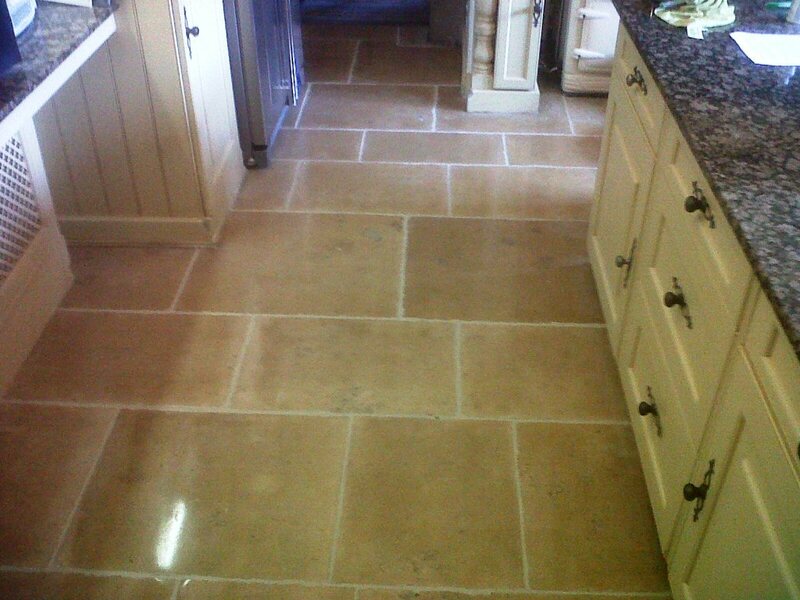 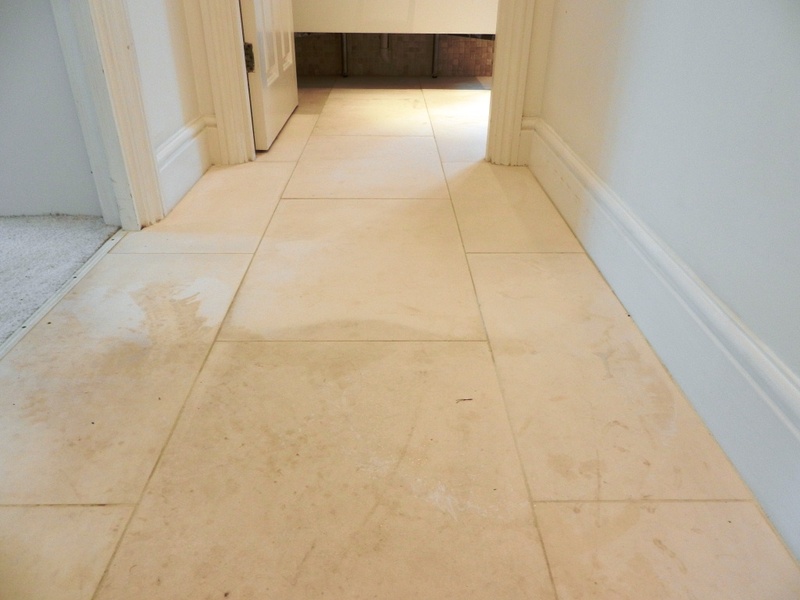 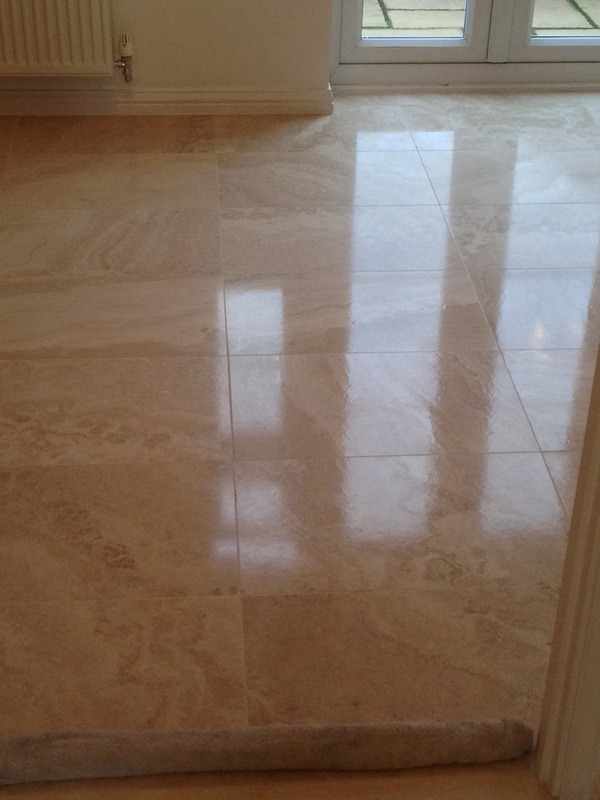 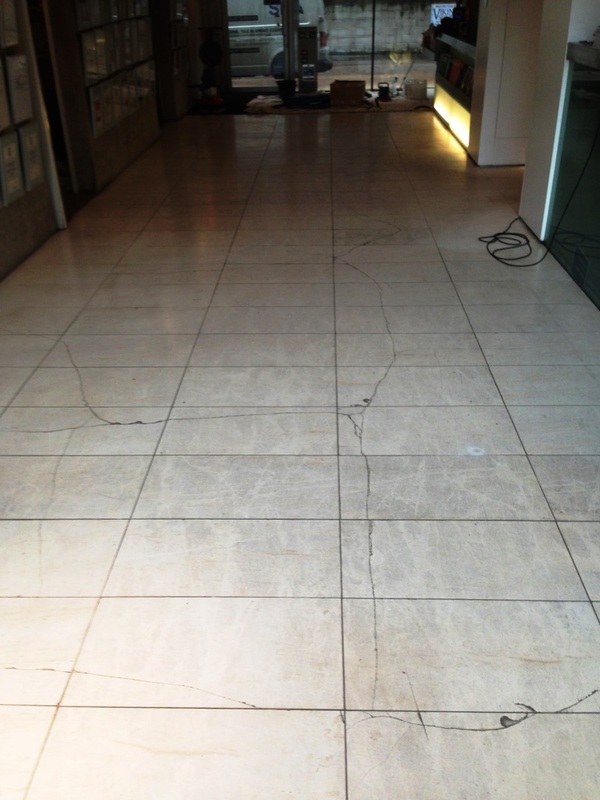 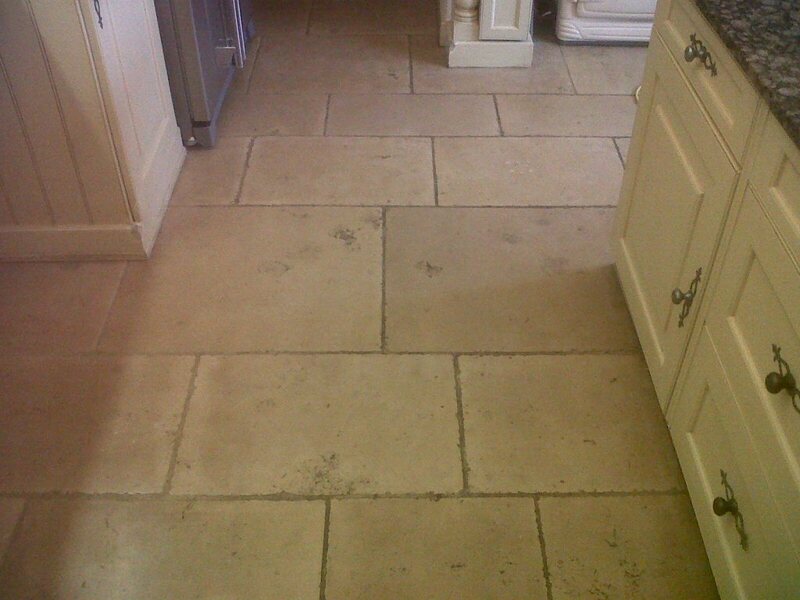 We used a set of diamond encrusted Burnishing Pads fitted to a rotary buffing machine to polish the Limestone floor. 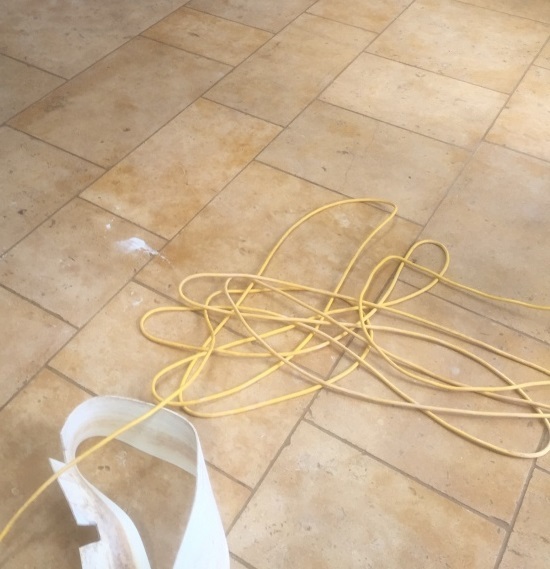 These pads are ideal for restoring the shine on hard stone surfaces such as Limestone and Marble, the come in a set of four and you start with the Red pad together with plain water and this cuts through and removes surface grime and any surface seal. 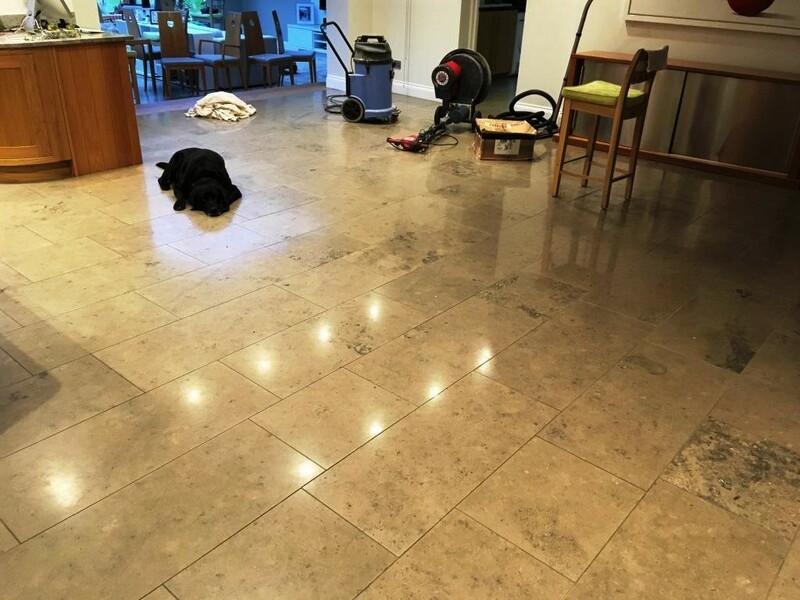 The floor was then washed down again, this time with Tile Doctor Neutral cleaner which is an everyday cleaning product and then left to dry overnight. 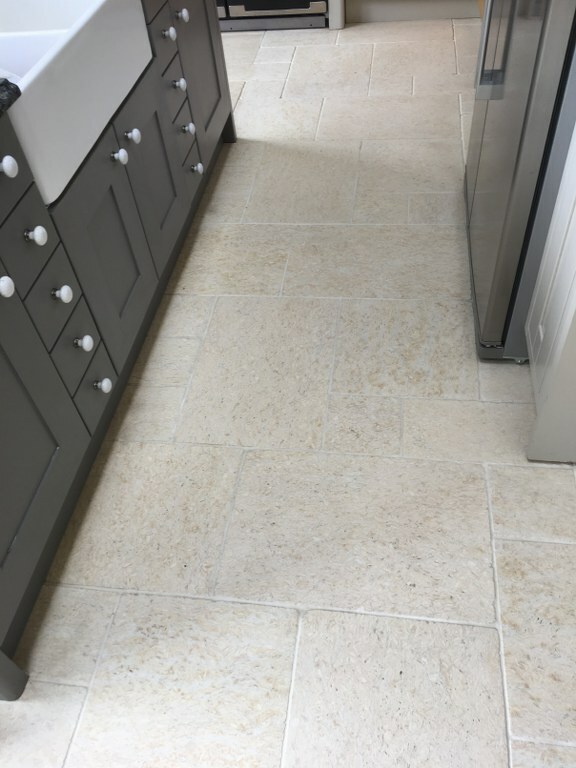 On the second day we gave the Limestone a polish using a Green burnishing pad which is a very fine pad that provides a high polish. 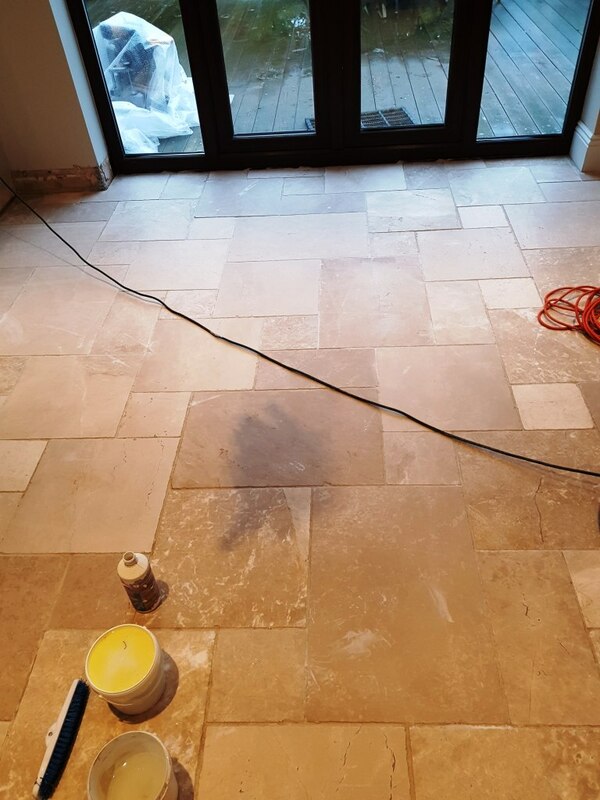 The last step was to seal the Limestone which we did with two coats of Tile Doctor Colour Grow which is a colour intensifying sealer that brings out the colours in natural stone and provide lasting protection.